Coming Soon: New Server in the EU, Better Pagico Mobile, and more! Greetings, everyone! Today we are thrilled to announce a number of key updates that are coming in the next few days. Today is the day! The sixteenth point update for Pagico 8, Pagico 8.16 (revision 2361 2362 2363) is now officially available for Mac, Windows and Ubuntu! As covered before, this is a big update with new features and lots of bug fixes. It’s a free update for all v8 users. Want to get more done in 2019? You’ll need the right tools! 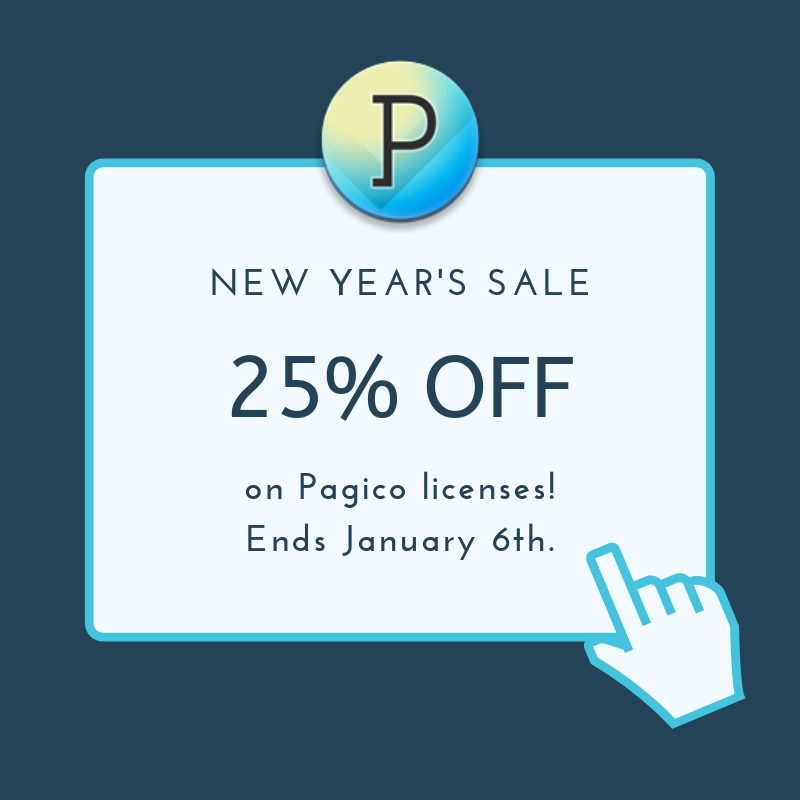 Let Pagico help you to stay on top of your business and feel awesome! Buy today to take advantage of the instant saving. The sale ends on January 6th, so don’t miss it! Update: The 2019 New Year’s Sale has concluded. Pagico 8.15 (r.2341) is a maintenance update that brings a number of bug fixes and improves stability. It’s a free and recommended update for all v8 users.